After throwing many fans into a panic earlier this month by taking all traces of The 1975 off the internet, the band simply revamped their site and social media in anticipation of their sophomore album. The British rock group also announced a US tour for this December – just in time for Christmas! Check out the flyer and full dates below. Tickets go on sale this Friday, June 19th! Check the venue for on sale times. PIck up a copy of The 1975’s debut album on iTunes or Amazon now. 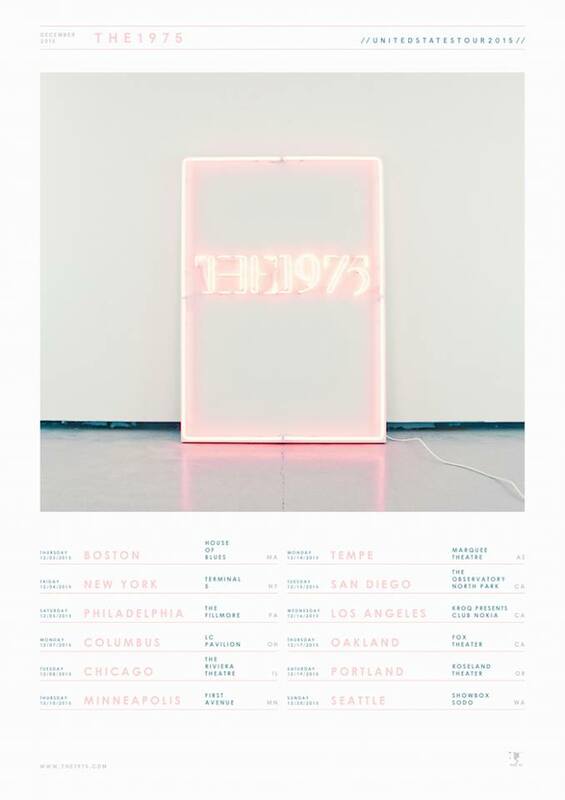 Follow The 1975 & Secret Fangirls on Twitter for the latest news! Previous PostThe Friday Five: FarmBorough Festival Day 1 PreviewNext PostNathan Sykes To Perform at Gramercy Theatre July 22nd!